EATING: Sweet Beet Hummus by The Happy Pear. It's the best Beet Hummus I've found outside Australia. Eat with sourdough, crackers, apple, carrot, celery, other raw vegetables or add to a sandwich or wrap. The Happy Pear is also a company I'm happy to support! WEARING: As the weather gets cooler we are loving fair trade and organic corduroy dungarees including these green ones from Serendipity Organics and these from Little Green Radicals, they are adorable and incredibly hardwearing. LISTENING TO: The Montessori Education Podcast by Jesse McCarthy. Jesse is AMI trained and previously worked at LePort Schools. 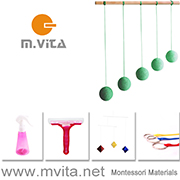 I recommend this to parents, teachers, grandparents, anyone who has an interest in Montessori. PLAYING WITH: The Peg Board. I've been searching everywhere for a wooden peg board for Otto, he is now using this one. I also found this one by Plan Toys, which looks fabulous. I love these for developing fine motor skills and concentration but also later for patterning. 12 months is a good age to try out some practical life activities. While it doesn't look like much these little moments can add up to something really significant. The child is participating, doing real work, contributing to the family and feeling valued. It might look like playing with the bubbles or playing with the washing but it is so much more, and it's just the start! Here are a few practical life activities we've introduced at or around 12 months, keep in mind many of these he is yet to master. Self Feeding with a spoon and fork. Begins to undress, lift arms when dressing, take off pants. Participating in dressing as much as possible. Sprinkle dried herbs on vegetables. Transfer vegetables from chopping board to bowl or put them in a roasting pan/steaming pan. Transfer fruit from a chopping board to a blender. Transfer salad items from chopping board to bowl. Tear fresh greens like lettuce for a salad. Pick herbs from the plant or stem. Crimp edge of pie with fingers. Begins to mash soft foods like banana, avocado. Begins to cut soft foods like steamed vegetables, banana or avocado. Wiping a spill or wiping the table after eating/drinking, using a little sponge or cleaning cloth. Begin to wash dishes in sink with a dishwashing brush. Puts laundry in and out of (front loader) washing machine. Waters plants outside with a small watering can. Begin to put socks from washing onto low hanger (we have a hanger like this with a few low bars that he can easily reach even while sitting down). Opening and closing containers - using an open and close basket, a basket with containers for the infant to practice open and closing such as press and flip lids. If using a chopping board make sure it doesn't slide around, put a non-slip mat underneath. Model the activity, work along side them or enable them to do an activity they often see you do. Children's interest and their skill levels vary, I can see that Otto is not interested in the same things Otis was interested in at the same age. Interest and skill level can change dramatically even within a week. The child's ability to do an activity may depend on if they are walking, once walking confidently I would introduce a broom or mop. Most of all children are influenced by what they see, I've never shown Otto how to wipe down the table, yet he does it with this exaggerated side to side motion - obviously, it's something he has seen me (or his brothers) do. Children imitate, copy and want to be like those around them. I don't make a plan and often I don't think ahead but while I am working around the home I am always thinking and questioning can my children be involved and how can I make this activity more child-friendly. If you are interested in further reading or have a slightly older child you might also enjoy this recent article Our Little Sous Chef at Montessori In Real LIfe (at 14 months). P.S Don't get too discouraged. Otto still throws a lot of his food. I stay calm and neutral and stop the activity if I can see he isn't interested. He doesn't throw the food when he is interested and engaged. These activities are still useful for an older child, even if you have a two or three-year-old, it's not too late to start with practical life. There is something that is really captivating about finger knitting. I think it is because the children can make something quickly, the harder they work the more they produce, and the results are tangible, they can touch and feel the result of their work. We love to work with wool in the cooler months, it has such a nice warming texture. Finger knitting is good for developing hand and finger strength and coordination and is taught in most Montessori and Waldorf/Steiner Schools. Caspar learnt finger knitting at (Montessori) school. But as we moved shortly after Otis joined cycle two (6-9 yrs) he never had the chance to learn. So we've looked at a few YouTube tutorials and made a few funny mistakes but it's a lovely activity for children. Caspar and Otis are screen free during the week (with the exception of Mathletics which their school requires) so this gives them something quiet to do at the end of the day to relax and unwind. This coloured yarn is a four finger knit by Caspar. I love to use multi-coloured yarn, it looks so pretty. This will make a nice scarf, perhaps for his Grandma. Otis is still learning but can do this simple stitch without looking and in the dark! We are thinking of adding different colours and making a garland for Otto's room. This green is gorgeous. This yarn in a little chunky which makes the knitting come together faster (this organic and plant dyed yarn is from Myriad here). If you haven't tried finger knitting before you'll find that it is much easier than you might expect. For most children with average to good dexterity, it is easy to pick up. Start with the single finger knit as it will teach the child the general concept. The two to four finger knitting is a little harder but much more rewarding, as the knitting is bigger. Best of all, all you need is your child and yarn! Here are the tutorials that we've found useful. Single Finger Knitting at Montessori Handwork, another easy to follow tutorial is here at The Magic Onions (the photographs use a child's hand). Teach yourself to do a slip knot to start. There are lots of things you can make with the completed finger knitting. Check out this amazingly huge Montessori class finger knitting project! This practical life has some useful tips on finger knitting with children including in a classroom setting. Crumb Bums also shares some Montessori-inspired finger knitting here - I love the multicolour yarn they use. Natural, Organic, Handmade, Vegan and Beeswax Crayons. Maria Montessori told us "The child should live in an environment of beauty", but beauty isn't only visual, it's also in the feel, the texture, the aroma of the materials and the environment. When shopping it's easy to pick up cheap art supplies from the grocery or department store. It takes a little more time and sometimes more effort to find higher quality perhaps safer and definitely more beautiful art materials. Honey Sticks - Beeswax (NZ made). Purely Natural Kids Crayons - Vegan, Natural Waxes (UK made). Wee Can Too Organic Veggie Crayons - Vegan, Soy Wax (US made). Crayon Blocks - Organic Beeswax (US made). Tinta Honeycomb Crayons - Natural Waxes, no Soy (Australian made). Colour Blocks - available in Beeswax (US made). eco-crayons - Beeswax and Soy Wax (US made). okoNORM wax blocks - Beeswax (made in Germany). Filana Organic Beeswax Crayons - Certified organic Beeswax (US made). Stockmar Beeswax Crayons - Beeswax (made in Germany), I like the 16 box as it contains more colours including a lovely light green. I love the tins and boxes these come in. Childhood Crayons - Beeswax and Soy Wax (US made). eco crayons - Vegan (Australian made). I love that I am seeing so many handmade crayons out of Australia. I couldn't resist and also bought some Stockmar crayons, knowing my older boys would like them too. We use Crayon Rocks but I didn't add them to this list as they are very small in size and not suitable for toddlers to use. Many of these are recommended for 3 years + so please use with direct supervision. Please feel free to add a link to your favourite or most used crayons! 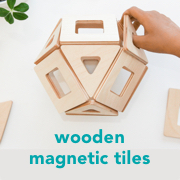 How often do you rotate your infant/toddler toys and materials? I do it every week, but it's more like an update or refresh rather than rotation. We've moved our shelves to add Otto's wooden barn play area and some new playsilks. There are a lot of Waldorf handcrafts that I love. Felting and beeswax modelling are two that we use in our home. I love these little creations by Otis! He has learnt to use the candles to warm his modeling wax. Montessori wrote so much about the use of the hand. Otto is learning that he can use his hands and the crayon to mark the paper. Mostly he tried to eat the crayons so we'll be keeping them out of reach for a bit longer. I love to see the different ways he picked up and handled the crayons, it's wonderful to see those little hands and fingers at work. At this age I tape the paper to the table for almost all arts, we also use a heavier watercolour paper that doesn't tear easily. And the cutest little vase of flowers that Otto and I picked together! A small collection of Otto's practical life tools at 12 months. He is cutting/chopping but soft foods only. The little sponge is a must at this age, no reason why they can't start help cleaning up! A few new books that we are reading and loving. I'm often reading Migration (only one double page spread) or Rhythm of the Rain at bedtime to Otis and Otto. Planetarium is wonderful and beautiful as you would expect but the text is a bit heavy, this is mostly read by Caspar (10yrs). I've also been reading poetry to the boys at night, it's so calming. There is a cute little bookshop in Frome and we all pick up a new book each time we visit, it's now one of our favourite things to do!